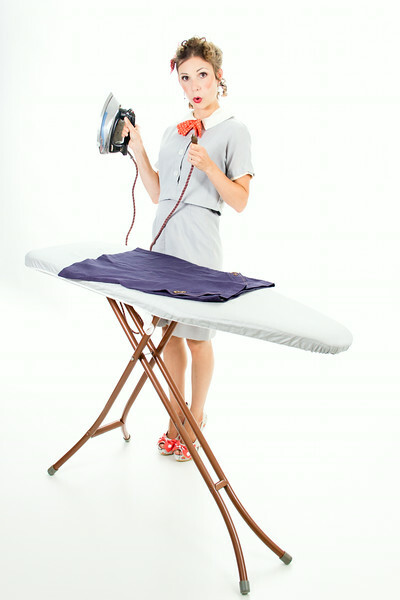 I loathe ironing. Our marriage agreement is that as a housewife, I do the bulk of housework, except pressing clothes. My husband presses our clothes when needed. Most of my life, I just assume throw something in the give away pile than iron it. To wear vintage styles well, you have to learn how to press them. The difference is made between looking like you’ve just stepped out of the donation bag, and looking like a million bucks. Before and after pictures would illustrate improvements. 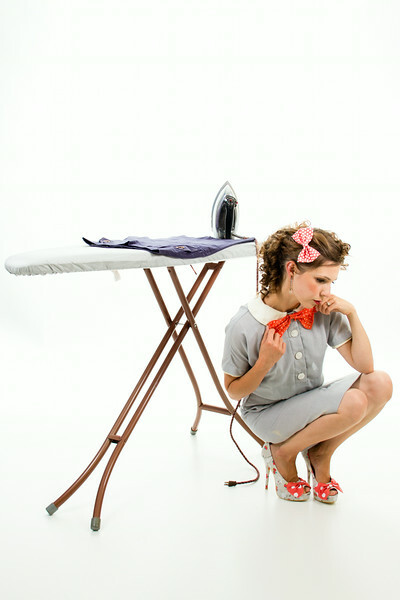 Admittedly, the only time I’ve made use of an iron until recently is for sewing garments. Now, if I want to wear my vintage threads, the iron and board come out. Shane says to perfect the art, ironing must be a daily habit. Weekly works for me. Upon my grandmother’s passing, we were asked if there was anything from her estate we desired. 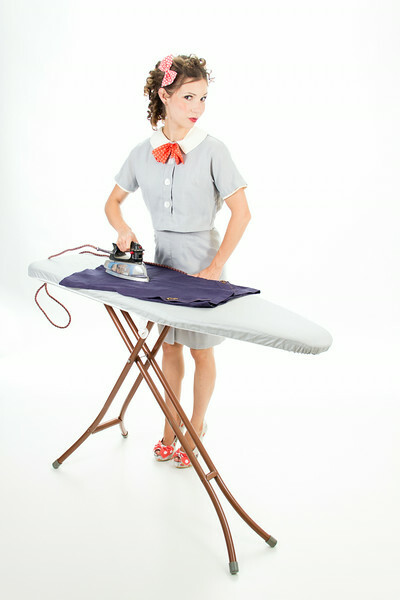 I requested the ironing board as a vintage photo prop, but now find myself using it on a weekly basis. I must in order to best strive for the classic tailored look.